The inaugural Jimmy Pike Scholarship in 2010 was awarded to Pampila Hanson Boxer and his son Edwin Lee Mulligan from Broome. The residency culminated in an exhibition in the Kurongkurl Katitjin gallery at ECU. Pampila Hanson Boxer was born on Old Cherrabun Station, south of Fitzroy Crossing, in 1941. Some 25 years earlier, his father, then a small boy of about six, had left Kaningarra waterhole in the Great Sandy Desert with his parents, to move to a cattle station where they made contact with white people for the first time. Until then, his people had been hunters and gatherers in the desert, and all they knew about the European newcomers was what they had heard from relations who had travelled to the cattle stations and returned to the desert. 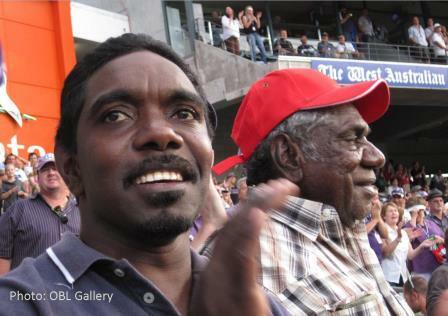 Pampila enjoyed a carefree childhood on the banks of the Fitzroy River, and at the age of 12 began to work with cattle. His teachers were the Walmajarri elders, from whom he learnt to make tools and weapons for hunting kangaroo and goanna, as well as the dances and songs performed during ceremonies held in the wet season, when people were free from station work. In 1989 Pampila, with his wife and extended family, set up Yakanarra Community on Old Cherrabun Station. Today the Community of about 130 people has its own independent school, store, telecentre and adult education centre. 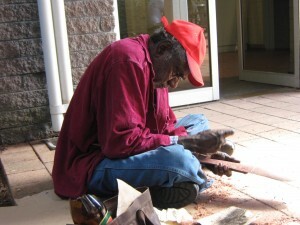 Pampila moved to Broome in 2006, where he makes traditional tools: boomerangs, woomeras, coolamons, didgeridoos and shields. 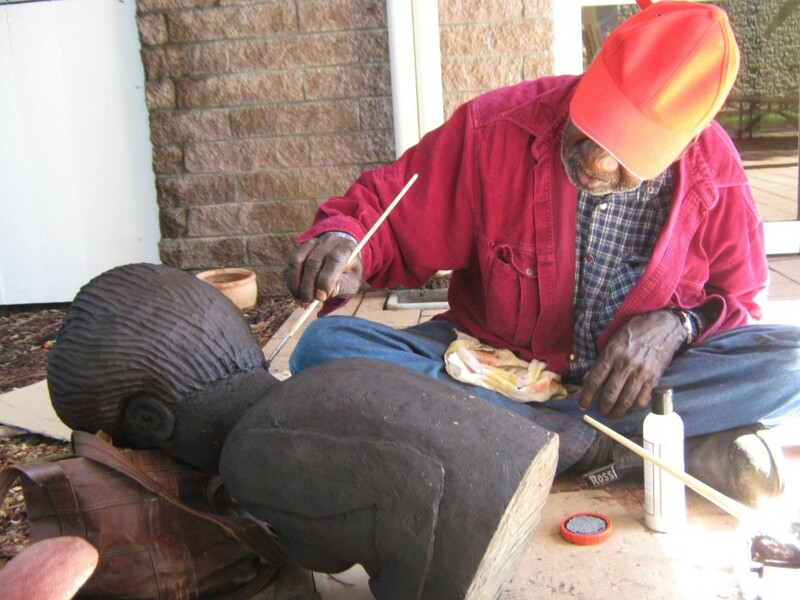 He also sculpts busts of men in traditional headdress, and women with ochred hair. In July 2005, one of his busts sold at Sotheby’s Melbourne auction, and in 2006 and 2008 his works were entered for the Telstra National Indigenous Art Award. In 2007 Pampila held his first solo exhibition at William Mora Gallery in Melbourne. 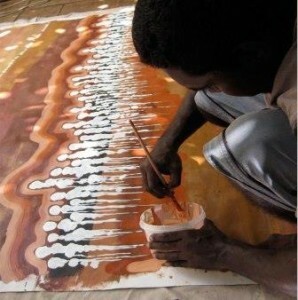 In Broome, Pampila sometimes teaches prisoners to make cultural artefacts. Pampila is also an accomplished Indigenous musician and traditional dancer. He plays didgeridoo at ceremonies and augments his income by busking. Information about Edwin Lee Mulligan coming soon.